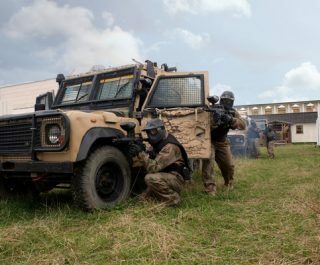 The Sheffield paintball centre is located not far from Stocksbridge about a mile from the The Strines Inn public house and based on the eastern fringes of the Peak District National Park – making the centre the ideal city getaway adventure. Perfect for residents of Chesterfield. 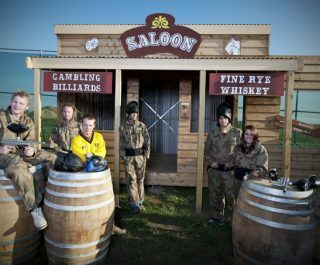 One of the latest centres to be constructed in the UK, the Delta Force Sheffield centre joins both the Kegworth and Wakefield paintball centres in providing the North Midlands with adrenaline filled paintballing action. 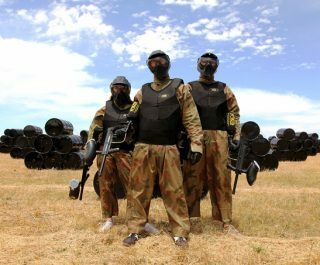 The wide open spaces of this idyllic part of the country leave plenty of room for seven expansive paintball game zones including Sheriff’s Castle, Zombies’ Crypt and Operation Desert Storm! 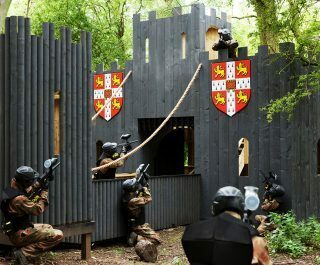 For fans of the fast-paced speedball format, the centre features an expansive Speedball Arena. If you happen to be eliminated quickly in this game, then there will be plenty of opportunity to get payback in some of the later games. Before you even step foot into a game zone, take a minute to appreciate the immense attack chopper taking pride of place in the centre of the base camp – this is fresh from the set of Tom Crusie’s time travel movie The Edge of Tomorrow. 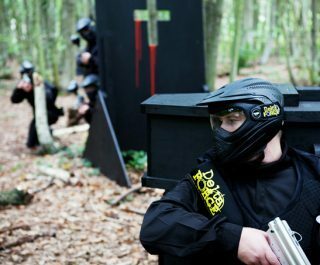 Book the Sheffield paintball centre now by visiting the paintball booking page or calling our events team 24 hours a day, 7 days a week on 0203 869 9301.